Robert Glasper: How the pianist fuses bebop with hip-hop. How pianist Robert Glasper fuses bebop with hip-hop. Photo by Astrid Stawiarz/Getty Images. Jazz and rap are such natural bedfellows that it seems right that even the names of the genres that best fit together—hip-hop and be-bop—capture the bouncy beats and clattery rhythms that propel both. Yet it’s a standing puzzle that 30 years of crossovers and fusions have produced only the rare outstanding recording. Even the best recordings never went further than adding rappers and DJs to a live jazz line-up—saxophonists Steve Coleman and Greg Osby stand out—while the worst were content with jazzy wanderings over pre-recorded beats. There is one standout though. The American pianist Robert Glasper submerges the loops, layers and pulses of studio-crafted rap deep into the innermost workings of his trio. His first album, Mood, released in 2003, flagged up the possibilities of this new approach and won him a contract with Blue Note, with whom he has made three further albums. The latest, 2009’s Double Booked, features both his bands: the acoustic Robert Glasper Trio, and the electric Robert Glasper Experiment. But it is in live performance that the 33-year-old really shows off his contemporary rhythmic nous. His bands throb with radical techniques that mingle the textures of hip-hop with the interplay of jazz. Add in audience-friendly, cross-genre covers, and it’s small wonder that Glasper’s gigs are crammed with musicians. His forthcoming workshops and Kings Place residency will be a highlight of November’s London Jazz Festival. Glasper, who lives in New York, has been a frequent visitor to the UK with his acoustic trio, but when I spoke to him he was in London for a residency at Ronnie Scott’s with his other band, the Robert Glasper Experiment. It is this band that he is bringing to the London Jazz Festival. With Casey Benjamin on saxophones, Vocoder and electronics it is even closer to hip-hop in sound and feel. Glasper was using the Ronnie Scott’s gig to dry-run material for a forthcoming Blue Note recording, and was keen to explain the mechanics of his music. Brushing aside gangsta rap almost as if beneath comment, he got down to the nitty-gritty of bringing the methods of a pre-recorded musical idiom to collectively improvised jazz. Those moves are so seamless, though, that they can appear prearranged. But, Glasper explained, “We hit a little segment, and we go round and round, and none of it is planned. It’s very telepathic, very organic.” He leans back in his chair and chuckles. In some ways, the Glasper approach is a natural extension of a working life that straddles the two worlds. When his first album gained public notice in 2005—London DJ Gilles Peterson was plugging it on his syndicated radio show—the pianist was working live with his close friend, the R&B singer Bilal. Glasper has been working in New York’s hip-hop and R&B circles ever since: as musical director for the MC and hip-hop artist Mos Def, for example. 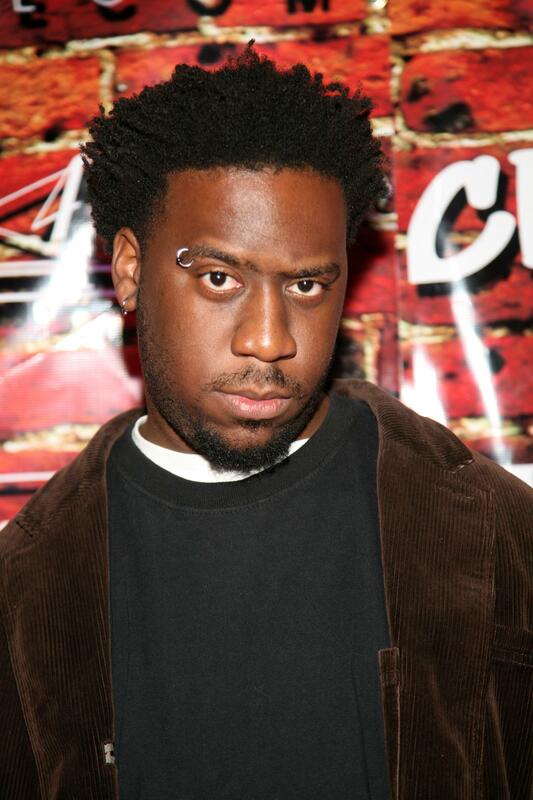 Glasper was born in Houston in 1978, about the time the first New York DJs began to rhyme and scratch. His late mother, Kim Yvette Glasper-Dobbs was a professional singer and played piano; soul and gospel were her staples. Although part of the first rap generation and surrounded by music making from such an early age, Glasper came to music late, and hip-hop even later. He remembers fiddling about on the piano, picking out tunes with one finger, when he was about 11. By the time he was 14 he was organist at one of the smaller churches his mother sang at, in front of about 50 people. Two years later, he’d moved on to larger congregations, and, like his mother, wasn’t too fussy about denominations. His core style, though, was still in flux. His main focus was jazz and his main piano influences were Oscar Peterson, Keith Jarrett and Chick Corea. His strongest influence, Herbie Hancock, along with his understanding of hip-hop, came when he graduated from Houston and moved on to Manhattan’s New School For Jazz and Contemporary Music. Glasper also forged the relationships that led to his discovery of hip-hop, in particular, his friendship with Bilal. The vocalist dropped out in his second year when he got a record deal; Glasper stayed, but worked on the recording where he met the producer J Dilla, as well as Mos Def and fellow MC Common. Glasper gave Common basic piano lessons and through that met the MC’s flatmate, the singer Erykah Badu. For a global music, hip-hop revolves in very tight circles. For nearly a decade now Glasper has been an insider in both jazz and hip-hop. “Jazz used to be the hippest music. Now it’s the music that every one’s like, ‘What’s that?’ It’s looked at as history, it’s not looked at as modern music.” His solution is to “emulate that part of hip-hop, but we give it more jazz intellectualism”.